For centuries the city of London has been the cultural, political and financial center of the United Kingdom. Turn back the clock some 1200 years though, and you will find that the royal and religious center of England was farther west and south, in the heart of Alfred’s Wessex. The Anglo-Saxons called it Wintancæstir. We know it as Winchester. 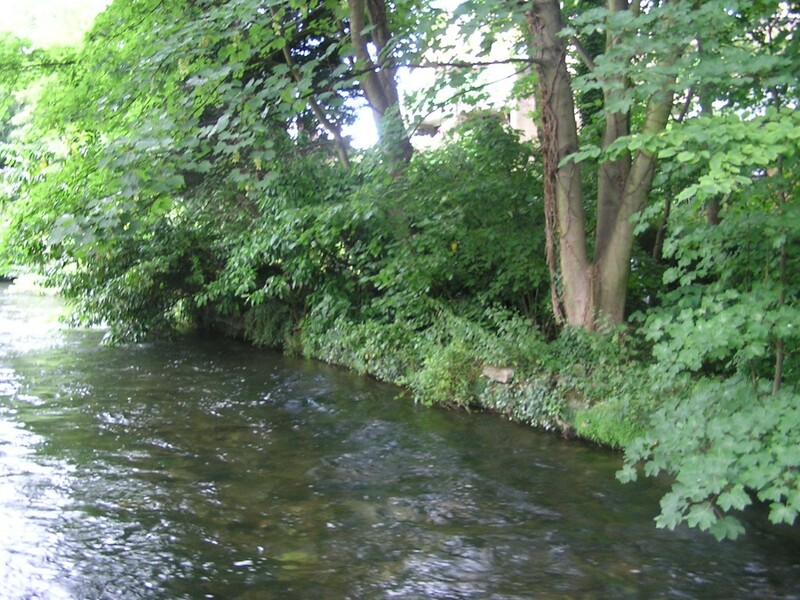 Alfred the Great laid out and fortified Winchester in the 9thcentury on the banks of the River Itchen. The city was well designed and prosperous within its defensive walls. Channels were engineered to provide the streams that ran its numerous mills, and wells provided drinking water for palace and private homes. Royal officials, barons, nobles and wealthy merchants had town estates (hagas) within the city near the palace, and their homes would have been a mix of stone and wood, many of them two-storied, with roofs of oak shingles or thatch. By the year A.D. 1000 Winchester had a royal complex that included a king’s palace, a bishop’s palace, two great abbeys – one for monks and one for nuns – and two massive churches, the Old and New Minsters, that stood side by side. The Old Minster was the largest church in England at the time, and recent renovations had added a marble baptistery and a six-storied bell tower. Its windows were made of colored glass, its walls were decorated with paint and sculptures, and even its floor tiles were multi-colored. The king had a special throne room in the cathedral’s upper level where he could be seen by his subjects, and the organ – yes, there was an organ! – needed seventy men to operate it. If you lived in Winchester, life was varied and lively. The king, with his family and his court, was often in residence. (I’m willing to lay money that the palace as shown in the above model – lower center – was vastly more impressive than the creator of this model has imagined.) 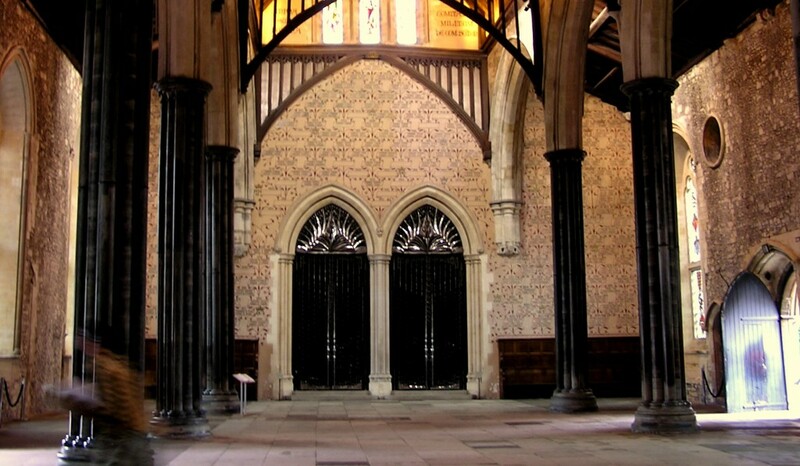 Pilgrims to the shrine of St. Swithun in the Old Minster came from all over England, and merchants from Belgium and Normandy came by ship through the city’s port of Southampton and then to Winchester via the River Itchen. The major market was along the High Street, where food and raw materials were brought in daily from the countryside. Bakers, brewers, vintners, corn merchants, mead makers and herringmongers had shops in the marketplace. Shoemakers, tailors, hosiers, mercers and goldsmiths must have done a brisk business among the noble folk. Armorers, sword makers and shieldwrights serviced the warriors, while cabinet makers, laddermakers, painters and masons provided expertise if you needed some home repair. The housewife could find rush sellers, candlemakers and needlemakers, and on the outskirts of town the fullers, dyers and weavers represented the textile trade. 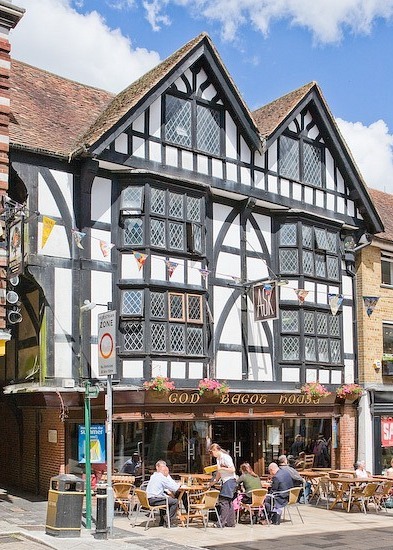 Queen Emma owned property in Winchester, in particular a haga on the High Street that would have provided income until the queen herself took up residence there late in her life. 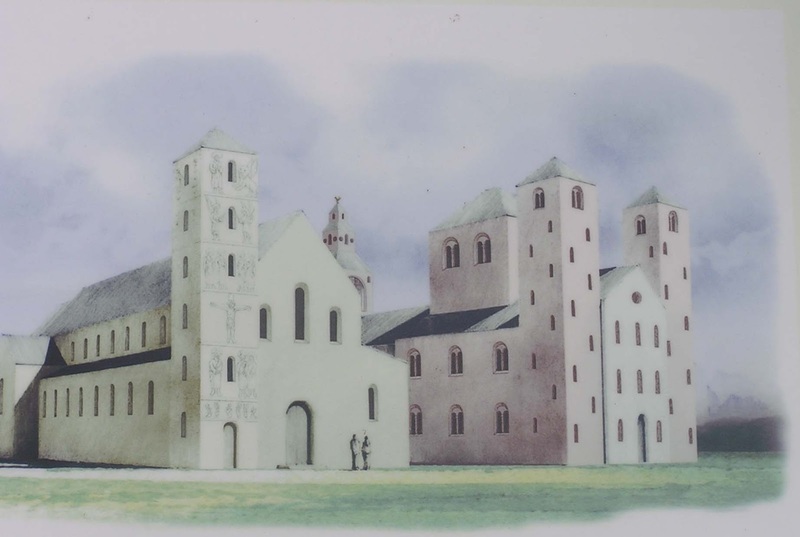 The manor, Goudbeyete, was large enough that it included St. Peter’s church. A building still called Godbegot House survives from Emma’s time and she is reputed to have resided there. It was Winchester that was the royal seat of Aethelred II, and once you could go into Winchester Cathedral and see Mortuary Chests that contained the bones of half a dozen royals, including Queen Emma. Today those chests have been moved to the Lady Chapel, where a team from the University of Bristol is examining the remains. Expect to hear more about that project in the future. Winchester served as England’s royal city from the time of Alfred the Great until the reign of King Edward the Confessor. That was when the king turned his attention toward a marshy bit of land 2 miles southwest of London’s walls and decided to rebuild the abbey there that was called the West Minster. But that’s a story for another time. The Great Hall of the Anglo-Saxon palace was torn down by pesky Normans in the 12th century. Now it looks like this. Winchester in the Early Middle Ages; by Martin Biddle, Frank Barlow, Olof Von Feilitzen, and D. J. Keene, Clarendon Press, 1976. This entry was posted in Anglo-Saxons, History, Research and tagged Anglo-Saxons, history, Medieval, Winchester. Bookmark the permalink.